Dance Board has regular monthly meetings on the third Wednesday of each month at 7pm. Festival practices are on Sundays/Mondays in June and August. HDF practices begin after the festival and are on Sundays 12:00 – 2:30. Each group is currently scheduling a second practice day as well (November through HDF weekend). 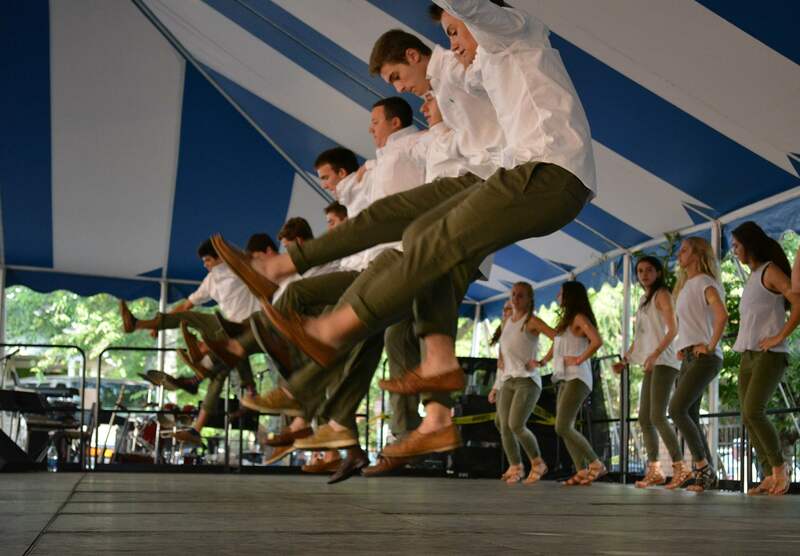 The tradition of Greek folk dance in Charlotte dates back to the parish’s inception, but it became particularly strong after the community established its Yiasou Festival in 1977. The halls of Holy Trinity are almost always filled with music and dance! 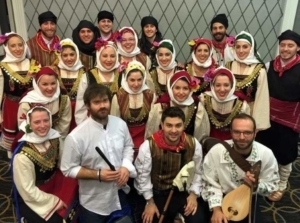 Our current program has more than doubled since 2000, and Holy Trinity now boasts one of the largest Greek folk dance programs in the country. We offer dance for all levels, from our youngest kindergartners through our adult program. Close to 350 dancers are enrolled in our festival program, and approximately 100 of those dancers participate in our competitive year-round program. Holy Trinity’s Greek Folk Dance Board as well as a group over thirty volunteer instructors work diligently to ensure and improve the quality of our program. We have established a grade-level curriculum that aims to expose our students to a wide variety of regional styles over the course of their K-12 years. 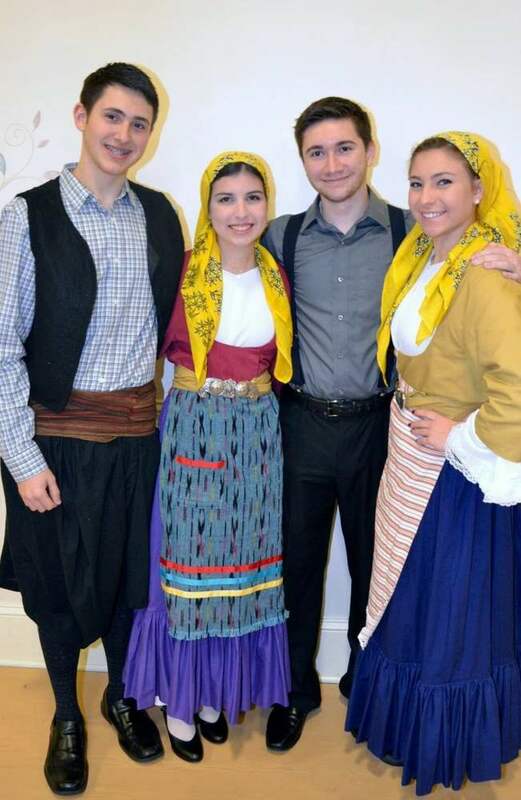 Greek dance at Holy Trinity is truly a family affair, with many of our award-winning costumes sewn locally by the mothers and grandmothers of our dancers. Our mission is to pass on to the next generation the precious and rich heritage of traditional Greek song and dance, which express the history, joy and pure celebration of life’s events. Our program aims to promote fellowship and a shared love and appreciation for this history. Hosting the 2015 Hellenic Dance Festival (HDF) was a particular thrill for our program, as we welcomed approximately 1000 Greek dance enthusiasts to our city. HDF 2015 brought unprecedented competitive success for our program, with all of our groups earning third place or higher in their respective categories. In addition, both Division I and Division II Diamond Award winners were from Holy Trinity (Fourtouna and Thrylos). At HDF 2016 in Orlando, FL, each of Holy Trinity’s five performance groups placed in their respective categories, two of which were first place (Platinum) honors (Dynasteia and Armonia).  In 2017, four competitive groups represented Holy Trinity in the Hellenic Dance Festival (HDF). For more information, please contact Stacie Peroulas (staciezambas@gmail.com).